BOLT ON UP TO 32 REAL HP NOW! 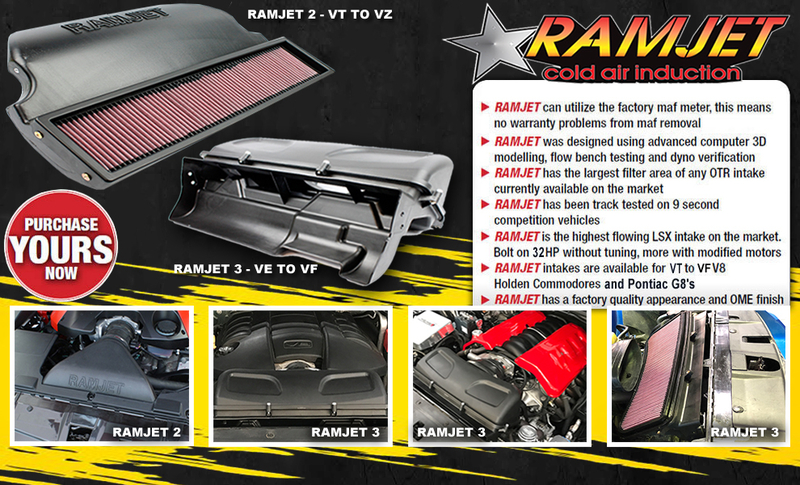 Ramjet's advanced plastic technology sets it apart from the thin plastic, heat retaining aluminium & cheap fibreglass cold air intakes on the market! 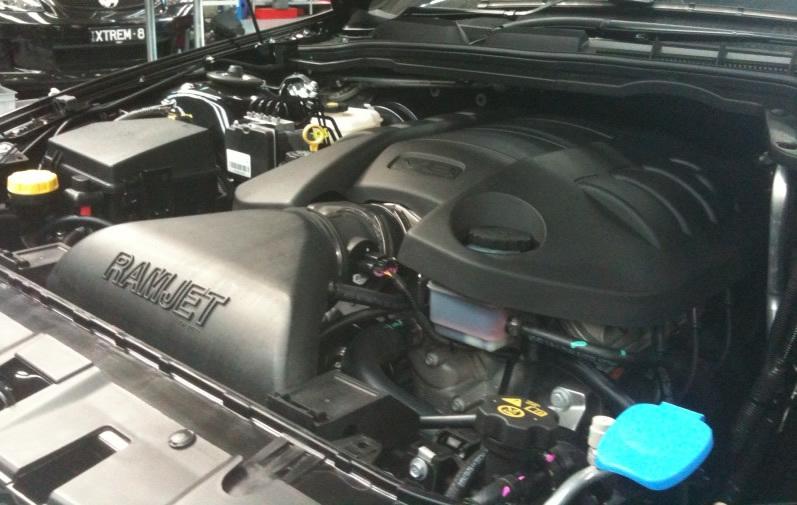 Compair Ramjets free flowing design and filter size to every other OTR on the market for Holden, HSV & G8's, you will not find better, our filter sits directly behind the grill and gets 100% direct air.